What a great place. It has been in our family for 30 years so if you want to rent a "friends house in Michigan" this is your place! Sitting an acre lot overlooking the shores of private Christie Lake, this A frame log home as 4 full bedrooms, and 3 full baths across 3 levels. There is a new remodeled kitchen and two family rooms-one for the kids to battle and the other one for the adults to socialize. It has a big wrap around deck off the main floor and large pier that shoots 100 feet out into the lake. There are numerous toys for you to use, such as paddle boats, paddle boards, a canoe etc... We have a 12 foot diameter water trampoline with slide and launch 25 yards off the pier. Bring a boat or jet ski and launch it next door, or just hang on the pier, listen to some tunes while the kids swim. The beach is a zero depth entry and nice clean clear water.... lots of room to splash and play without fear or getting too deep. It is quite area and not on top of a neighbors place. A shed full of rafts, life preservers, bocci, horseshoes and other toys! Hi we are a Chicago couple in our 40's with two kids who were lucky enough to get passed down this wonderful home away from home. We live on the Northside and have spent many many weekends up there. You will love this placed! We have been a VRBO/Home away user around the world for years and years this is out first time putting our place up for rent a few weeks a summer. Fabulous family friendly home on a terrific lake! Kayaks, paddle boarding, big water trampoline, sun and oh by the way fun! House had everything we wanted. We had a wonderful time! Great house on a great lake. Perfect place for a relaxing family get away. We had a group of 9 of us and we had plenty of room. The house is a great get away. We spent nearly all day on the dock and in the lake. The owners were kind enough to let us use paddle boards and floats and we rented a jet ski. The lake is warm and clean and great for swimming. The lake was never crowded so great for enjoying. Our jet ski rental was from Rentawatercraft and they were great. They gave us great equipment and worked drop off and pick up around our schedule. The house was well equipped and had all we needed. The beds were mainly bunk beds except for the master bedroom and they were a bit low for adults but definitely acceptable. The neighbors on both sides were extremely friendly and helpful and made us feel at home. We are definitely considering a future trip back. Fully equipped for family and fun! We stayed with our children and grandchildren and had a blast! The house is large enough so you don't feel on top of each other and plenty of room to all gather together. The outdoor space is perfection! With a large deck, yard, and dock there was plenty of room for the children to play and stay entertained all day. They all cried when we had to leave. Leading up to our vacation, Kerri was amazing at replying to all my questions. It's a very clean and comfortable home and has everything you need. The view from the house is gorgeous and the lake is clean. We hope to rent again in the future.......possibly making this a yearly event. We thoroughly enjoyed our weekend on Christie Lake. The home is everything as described and so much more. Kerri was an excellent host. We've been staying at the Melzl home on Christie Lake for the last 6 summers. Over the years our family has grown and so has our love for this place. We've built so many wonderful memories there - sunny days out on the dock, boating, paddle boarding, and evenings around the fire pit or watching movies. It has become part of our summer and our whole family looks forward to this trip every year. The home is perfect for a single family or multiple families. We have 4 kids and have stayed here with just us, but also with our parents and siblings. It's clean, spacious, and full of lake cabin charm. 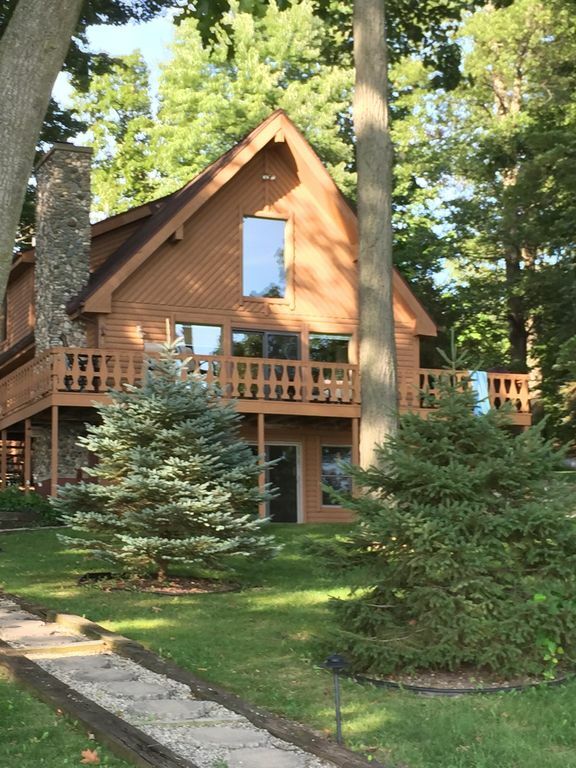 If you're thinking about a summer getaway, short or long, we highly recommend this home on beautiful Christie Lake.